Telepresence is a type of a video conference in which the participants appear to feel as they are sitting face to face in a room. Telepresence basically has it's series of technology, pieces of hardware specifically built for telepresence conference and specific codecs for the system. Save on travelling expenses as there is no need to travel across countries for a meeting. The use experience is just fantastic. It is not glitch and wobbly as is the case when the traditional Skype conference or Google Hangout conference would hang due to the bandwidth shortages. It feels as if the participants are in the room. Mounted cameras are able to capture videos in HD 4K and 1080p video format. The goal of a telepresence is to make the person feel as is the meeting is happening face to face. However there are a couple of drawback in deploying the system. The first deterrent is the cost itself. Let's take the Cisco Telepresence solutions for instance. The Cisco Telepresence System 3200 will set you back by $350,000. And this excludes the internet bandwidth costs. Polycoms Telepresence systems too cost in the same range of $300,000 to half a million dollars. What if you own a small to a medium size business? The costs of owning the device is much less at $35,000. But $35,000 is still a lot for SMBs. Compared to the classic desktop conferencing the charges are significantly higher. So talking about ROI may not prove to be sensible. 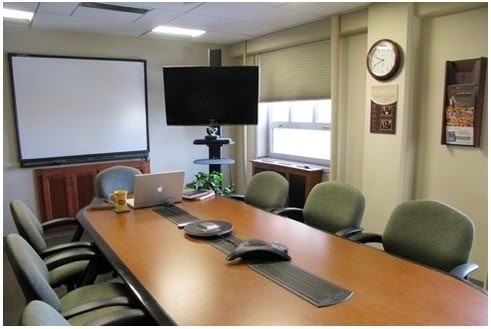 Installation time:It can take anywhere from 5-7 days to setup a telepresence system. However newer and improved telepresence systems such as the Cisco IX 5000 claim that their systems can be deployed in 8 hours. Would Could Be Improved In Telepresence? 1. Integration of Real Time Video Translation: Skype recently announced the launch of the Skype Real Time Translator. Skype Translator is tool for Skype which translates the voice calls in to a given language. The tool comes free of cost so there translation process is free. And you get to see the transcripts on the chat window. So one thing that telepresence system could make use of is a tool like Skype Real Time Translator. 2. Digital Whiteboard: A whiteboard is a regular whiteboard that one sees in office during presentation except that it is digital and interactive. So images you load a digital whiteboard on your tablet attached on the desk. The same whiteboard is being viewed on the other end. While giving a presentation, you can make drawings, add text, sounds and images on this whiteboard. And it happens both ways. So the other person can do the same thus creating an interactive session. Whiteboards have been widely used in the education industry for giving lecturer, teaching subjects, teaching foreign languages, teaching maths etc. 3. Image recognition: Wolfram recently announced their Image Identify project where users can upload any image onto their website and their sophisticated image language algorithms with tell you what that particular image is about. The project is similar to Imagenet where people like Fei Fei Li are working on image identification projects and have achieved huge success. Below is a TED presentation by Fei on how this winning image identification computers architecture hold exciting potential in the future. 4. Incorporating image recognition can help automatically identify the participants by names, display their names on the screen. The cost of setting up a telepresence room is anywhere from $300,000 to $500,000. This excludes the cost of the bandwidth which has to be purchased separately. The two most prominent players offering bandwidth for video conferencing on the cloud (including Telepresence) is Blue Jeans and Fuzebox. AllTranscript.com is a online firms which provides online transcription to universities, market researchers, private investigators, legal firms and financial firms. AllTranscript also provides fast and accurate conference & seminar transcription services at affordable rates. New products by Polycom Telepresence for small workplace.